Arne Vodder was famous for his use of natural materials in his work. The classic AV chair was actually one of his first items of furniture with a full metal frame. 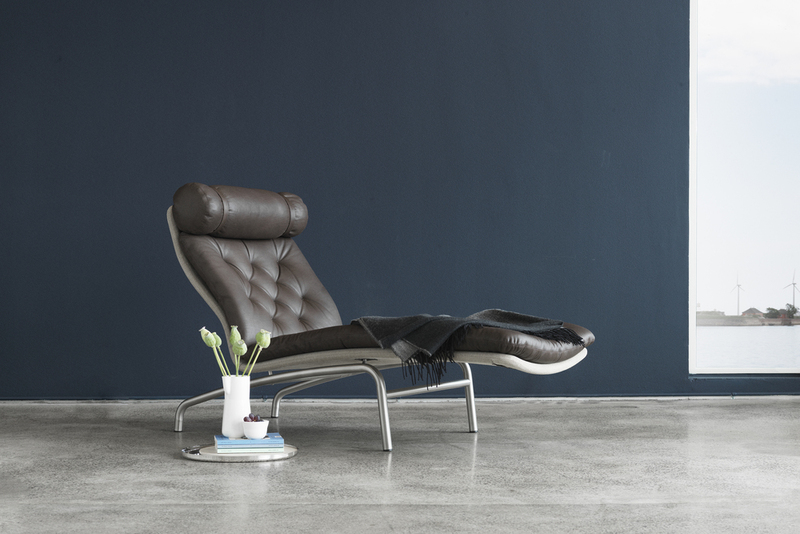 It was first introduced during an annual furniture fair in Copenhagen in 1972. Now Erik Jørgensen is relaunching the chair in close cooperation with Arne Vodder’s family. At the time of the launch in 1972, the chair used a material that was brand new, called ironside. Vodder had extensively researched the material before deciding to produce the frame of the chair in matt steel. The material was then covered in soft leather, much like the one Jørgensen is reviving. Vodder’s son Michael remembers that his father was really proud of the chair. For many years it had a prominent spot in the living room. "When I was a child I dreamt of one day having this chair in my own home – that is now possible." Much like all of Arne Vodder’s designs, the AV chair – EJ 230 chaise longue – was designed with a passion for details. It was always important for Vodder to combine functionality with aesthetically beautiful design. In an interview from 2009 he emphasized the fact that when it comes to form, the design should be beautiful to look at, with curves and organic shapes. "The design should be organic, aestethic and beautifully executed," he expressed during the interview. The bottom line though, was that a chair should be comfortable to sit in.